Handmade in Portland maine USA. by eco-kids. 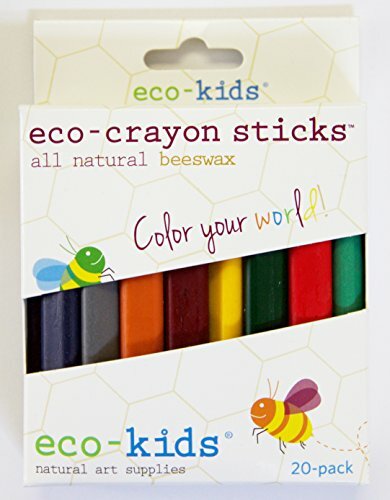 20 vibrant crayon sticks are perfect for play or school time. Non-toxic. Fade-resistant. Safe for your kids and the environment. All packaging is fsc certified. All ingredients are sourced in the USA.